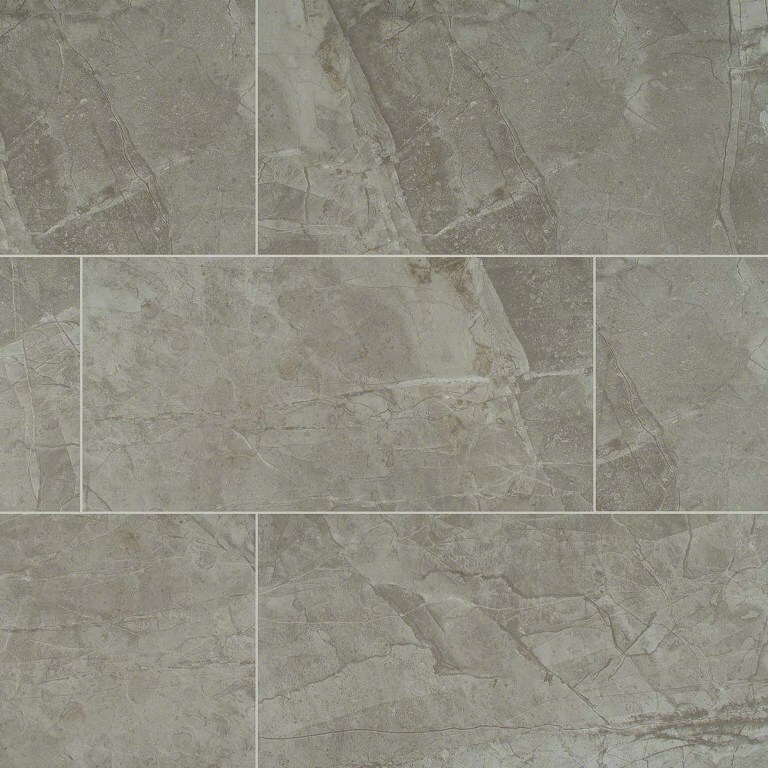 Essentials Vision Glacier Tile features soft gray & beiges in a natural movement flow. Fresh and one-of-a-kind, these tiles captures stunning exotic stone looks in glazed ceramic tile. This value tile line features stylish neutrals attained exclusively through the latest in inkjet technology The tonal veining lends a contemporary air to these tiles. Available in a matte finish, to allow the texture and tone to be the star, they are available in popular large format 12x24 tiles.